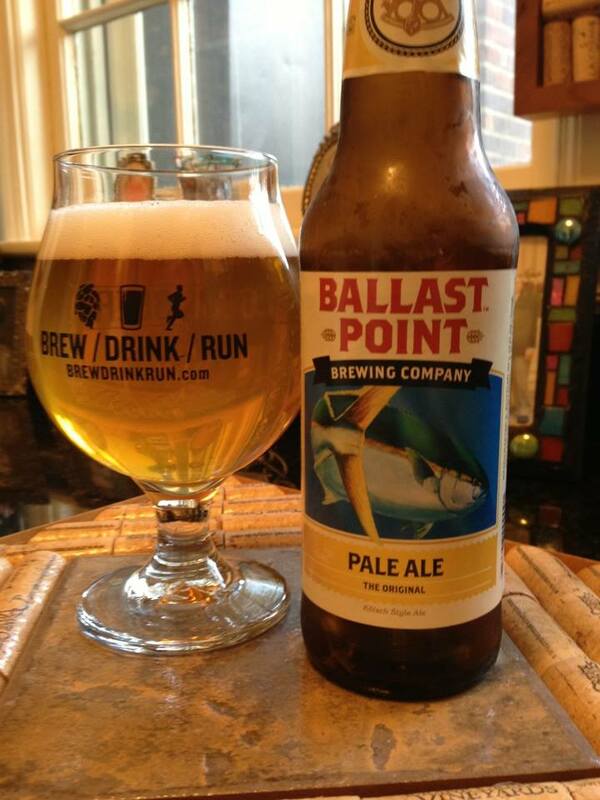 Spring is the perfect time to get back out and hit the pavement and the trails hard. The sound of birds singing and the light mists of morning rain are perfect motivations to rack up some miles. The season also lends itself to bright pops of color, mirroring fresh blooming flowers and sharp rays of sunshine. While I personally tend to lean on muted tones like grays and navies in my everyday attire, when it comes to activewear, I’m all about being loud and noticeable. This isn’t as much a daring style choice as a smart safety decision. Twilight or dawn run times mean reduced visibility and there’s nothing like a neon yellow tech shirt to announce to the world that you’re trotting along the shoulder of the road. These new pieces of running gear scream spring. 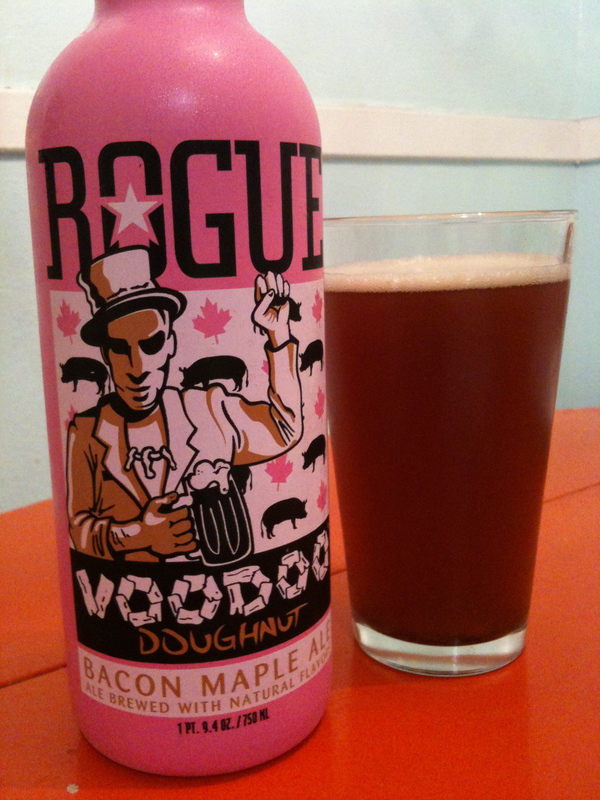 All have been BDR tested and approved. 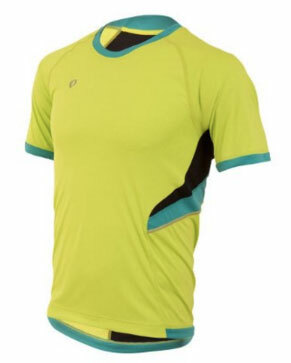 The Pearl Izumi Pursuit short sleeve running shirt in Lime Punch/Viridian Green just looks fast. While it may not give you a new PR, it will dry off in record time. The Pursuit shirt has a loose neck but a traditional streamlined body fit. The back is almost entirely a black net mesh and provides excellent cooling. Those with sensitive skin may not like the quantity of seams on the shirt, particularly in the side panels. However, those additional mesh vents mean more airflow and increased comfort. Plus those color accents are a sweet touch. We love a good pair of trail shoes. The latest from Icebug are not only rugged and dependable, but you can’t miss seeing them when on the trail or the street. 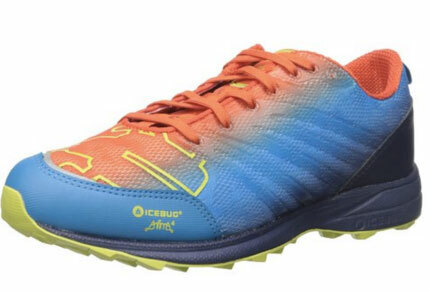 The Icebug Anima4 RB9X trail shoes in Papaya/Eclipse may have a tropical sunset vibe in appearance but don’t discount the toughness. The level of traction is ideal for scrambling up loose gravel and dodging pesky roots. Air flows through the toe of the shoe to provide a welcome cooling effect. The heel is snug but not tight and the soles are extra grippy to make up for the relatively low tread height. The fit and sizing are spot on, making online ordering safe. The low profile and high level of design attention mean that this shoe is just as attractive with street wear. If you can handle all the extra attention, that is. People love to ask questions about these shoes. Socks are one the easiest ways to introduce a little color into your life. Compared to shoes or shirts, they are typically far less expensive and not as big of a risk to your wallet or your status as a style icon. 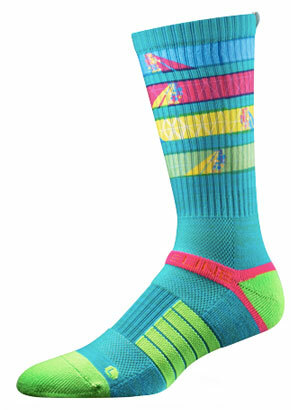 Strideline’s Stay Up and UV Ray socks are the new jam. They do more than hug your feet, they know right where to give extra padding, where you need some additional wicking and where you just want to just be left alone. They never sag and the color combos are on point. Strideline’s socks are a little on the thick side, so you may want to test them out with your favorite kicks before going out on a long run, but they are also versatile and nicely coordinate with some of the brighter tech tees as well as provide a pop of color against the warm leather of my time-tested loafers. Plus, graphics with robots shooting lasers out of their eyes? A million times yes.